Greetings from Southern Illinois where it is finally raining. Well, it's been four weeks since I started using CSS (Cascading Style Sheets) to format the newsletter and the Paging web site. No one is complaining so it must be working OK. Please let me know if the fonts or images don't look right to you. Barry Kanne and Frank Mercurio have both given me helpful feedback. You may be surprised to learn that the settings on your browser also affect the way web pages look. There are so many different browsers—new and old—that it's hard to get a web page to look like you want it to on everyone's computer. See LETTERS TO THE EDITOR for some more good tips from Butch Pierce on a recommended resolution procedure. Also please see the e-mail from Mark Faldon of Answer Fort Smith, Inc. where he says, “If it wasn't for my subscription to your newsletter, we would have been up the proverbial creek! !” — among other things. And further insight into this issue from Ron Mayes, President, Advantage Communications & Paging, Wichita, KS. Ron is a loyal, long-time reader, and supporter of the newsletter. Surely Bob and Paul Galvin would be “turning over in their graves” if such a thing were possible. Read the report following below. It will be a heart-breaking story to many ex-Motorolans who worked for this once-great company. I have seen this happen to three companies that I used to work for — BBL Industries, Motorola, and WebLink Wireless. Another company with lots of money bought them out, and after taking everything they wanted, closed them down. Such is life in the high-tech industry. Sad but true as they say. . .
A heart-warming story about what John Nagel did for his dad. You don't know John? You should, he is a nice guy. IT'S FREE, BUT. . . If you receive some benefit from this publication maybe you would like to help support it? A donation of $25.00 would represent approximately 50¢ a copy for one year. If you are willing and able, please click on the PayPal Donate button in the column on your right. If you can't afford the 25 bucks, then please recommend it to a friend or colleague. Immediately following is a great story about two hospitals out west that are still very strong pager users. These accounts are proudly handled by Cook Paging . Congratulations to the Cook Paging team! Can you believe that these “scientists” are all excited about something that they say was happening seven billion years ago? No wonder they can't park their bicycles in a straight line. The question, “How many angels can dance on the head of a pin?” has been used many times as a dismissal of medieval angelology in particular, and of scholasticism in general. The phrase has been used also to criticize figures such as Duns Scotus and Thomas Aquinas. Another variety of the question is: “How many angels can sit on the head of a pin?” In modern usage, this question also serves as a metaphor for wasting time debating topics of no practical value. 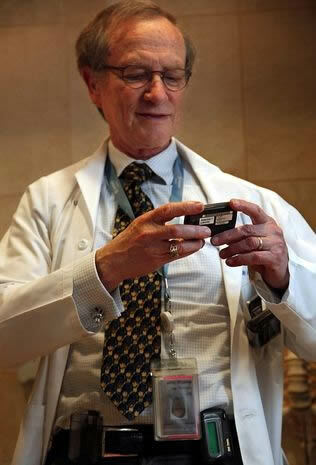 Published: Sunday, August 12, 2012, 12:01 a.m.
Dr. William Likosky, who works for Swedish Health Services' Cherry Hill Cerebrovascular Center in Seattle, carries three pagers, and one of them has four different numbers. In an era when just one piece of sophisticated medical equipment can cost millions of dollars, it's hard for the pager to get respect. Yet look around just about any hospital and the device, small enough to fit into a shirt pocket, is still ubiquitous. Coming of age in the 1980s when Pac-Man was the newest rage, the pager has survived and evolved over three decades. It stubbornly remains a key piece of hospital communication at a time when a doctor without a smartphone has a technology dinosaur vibe. "We can have a robot assisting with surgery, yet we're still using pagers," said April Zepeda, spokeswoman for The Everett Clinic. Providence Regional Medical Center Everett has nearly a thousand pagers in use. "They're a good, reliable means of communication," said Michelle Arneson, a telecommunications analyst at the hospital. One pager used by the hospital's housekeeping department was activated 2,800 times in one month to summon help. "Our nursing supervisor gets paged all day every day," Areneson said. Repeaters help transmit pager signals below ground or in parts of the building heavily reinforced with concrete and steel, spots where cellphones often lapse into dead zones. "We have doctors that live out in the hills and valleys in the eastern part of the county and their pager will work at home and their cell won't," Arneson said. "Nothing is 100 percent, but they are a more rock-solid type of communication," she said. One day, smartphones may take their place and be as reliable, she said. "But when that will be I don't know." Swedish Health Services, which has hospitals and clinics in Snohomish and King counties, has 4,000 pagers spread among a workforce of about 11,000 employees. Pagers are so reliable because antenna and boosters can be installed on site throughout the organization, said Lori Dunigan, Swedish's call center manager. "There's better penetration throughout the hospital," she said. Hospital staff use pagers to alert their colleagues to an emergency event, such as a "code stroke," or to summon response teams to the emergency room, operating room or a patient's bedside. In addition to reliability, pagers are head and shoulders above the competition by another measure — cost — with charges as little as $4.95 a month each, Dunigan said. Dr. Bill Likosky, a neurologist and medical director of Swedish's stroke programs, has three beepers, "one on my right hip, one on my left hip and the jacket pocket." An urgent summons of medical staff used to occur through an overhead page. "Everybody had to know," he said. "There were so many people working in the hospital, it was a constant din." Pager numbers, distributed to hospital staff, allow time-sensitive messages to be sent either to a specific individual or group of hospital employees. Pagers' anytime, anywhere reliability is what keeps them a key piece of a hospital's communication technology. "They don't seem to have as many dead spots," Likosky said. "There's hardly a place a beeper won't go off. Cellphones don't work as well." Their downside: "Not every time you get a message that's important," he said. "Sometimes it's trivial, someone who needs a laxative tonight versus someone who may have something irreversible going on. The same beeper gives both messages. "Too much communication can drive you crazy." Dr. William Likosky says he carries one pager on his right hip, one on his left, and one in his jacket pocket. A pager, like any communication device, sometimes can send some unintended, but potent messages. Like when there's no response. "The first thought is why aren't they responding?" Likosky said. "I paged them twice. The ability to communicate instantly provides an expectation that you should respond instantly." Their electronic bleating can also send a subtle, secondary messsage. "If you walk around with three beepers and they're going off all the time, you may feel somewhat important, I guess," Likosky said. "Like a siren on a police car, it embellishes you." And what if all three are going off at once? "We just hand one to somebody and say, 'Please answer this for me,' " he said. Pagers have evolved over the decades. "There's so many makes and models of pagers, and they continually upgrade," Dunigan said. They have the ability to send short text messages of about 150 letters along with a phone number. Two-way pagers allow messages to be sent back and forth like text messaging. Duplicate messages also can be sent to an employee's smartphone. Some employees who aren't emergency responders are turning in pagers to use smartphones exclusively. That works for health care workers who don't need to respond to something instantly, Dunigan said. Despite their reliability, pagers aren't problem-free. There can be missed pages, or delays of a minute or two in pages being sent as the requests stack up in a queue, she said. "There are pros and cons to both tools and which is more reliable," Dunigan said. Some people just prefer pagers as their primary contact. "I have physicians who say I've had the same pager number for 22 years," Dunigan said. "They have it printed on their business cards and they're not going to change that number." The prevalence of pagers in hospitals won't wane soon. "They're the most cost-effective tool we have and a major means of communication," Dunigan said. Pagers have evolved to meet specific needs "better than anything else we could think of," Likosky said. "The fascinating thing is, nothing has really replaced it." SUNNYVALE, Calif. — Motorola Mobility, the ailing cellphone maker that Google bought in May, told employees Sunday that it would lay off 20 percent of its work force and close a third of its 94 offices worldwide. The new Motorola leadership team, the chief executive Dennis Woodside, center, with the senior vice presidents Regina Dugan and Mark Randall, at company offices in Sunnyvale, Calif. The cuts are the first step in Google's plan to reinvent Motorola, which has fallen far behind its biggest competitors, Apple and Samsung, and to shore up its Android mobile business and expand beyond search and software into the manufacture of hardware. The turnaround effort will also be a referendum on the management of Larry Page, Google's chief executive, whose boldest move has been the $12.5 billion acquisition. Though Google bought Motorola partly because of its more than 17,000 patents, which can help defend against challenges to the Android operating system, it also planned to use Motorola to make its own, better smartphones and tablets. One-third of the 4,000 jobs lost will be in the United States. The company plans to leave unprofitable markets, stop making low-end devices and focus on a few cellphones instead of dozens, said Dennis Woodside, Motorola's new chief executive, in a rare interview. "We're excited about the smartphone business," said Mr. Woodside, who previously led Google's sales and operations for the Americas. "The Google business is built on a wired model, and as the world moves to a pretty much completely wireless model over time, it's really going to be important for Google to understand everything about the mobile consumer." But some analysts wonder whether Google can succeed in the brutally competitive, low-margin cellphone business. "Ninety percent of the profits in the smartphone space are going to Apple and Samsung, and everyone else from Motorola to RIM to LG to Nokia are picking up the scraps of that 10 percent," said Charlie Kindel, a former manager at Microsoft who writes about the mobile industry. "There's no real sign that's changing anytime soon." It was not always this way. Motorola executives like to talk about its glory days. The company, started in 1928 in Chicago, unveiled the first commercial cellphone in 1973. By 2004, it looked as if Motorola could again lead the cellphone industry when it introduced the popular Razr. But Apple and Samsung won consumers' hearts with the more exciting iPhone and Galaxy phones. Motorola Mobility — which split last year from Motorola Solutions, the division that makes devices like police radios — lost $233 million in its first six weeks under Google. The phone business has been unprofitable for 14 of the last 16 quarters. "It got left in the dust by the competition and kind of missed the smartphone transition," said Charles S. Golvin, a mobile analyst at Forrester Research. In addition to the coming cuts, Google has gutted Motorola management, letting go 40 percent of its vice presidents. It also hired new senior executives. It will shrink operations in Asia and India, and center research and development in Chicago, Sunnyvale and Beijing. Mr. Woodside also plans to cut the number of devices Motorola makes from the 27 it introduced last year to just a few. He wants to make the company's products cool again by loading them with things like sensors that recognize who is in a room based on their voices, cameras that take crisper photos and batteries that last for days. Many of these new ideas will come from a group of just a few dozen people within the company that has the unassuming name of Advanced Technology and Projects. To foster innovation, Google created the group to drop a Silicon Valley-style start-up into a lumbering Midwestern company and recruited Regina Dugan from the Pentagon's Defense Advanced Research Projects Agency, or Darpa, to run it. Ms. Dugan, though coming from Washington, already speaks the language of Silicon Valley. "It's a small, lean and agile group that is unafraid of failure," she said, and it will "celebrate impatience." Motorola has been spending too much money on too many different cellphone components, said Mark Randall, whom Google recruited to run Motorola's supply chain from Amazon.com, where he did that for the Kindle. He said he planned to jettison suppliers and buy 50 percent fewer components. How to get people excited about Motorola phones when shiny iPhones are on the next shelf? 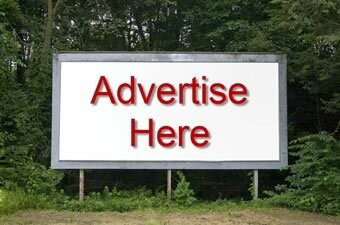 Gary Briggs, who ran consumer marketing at Google and now does so at Motorola, is working on advertisements that he said would be more like Google's — simple and emotional. They will focus on Motorola's storied past and the ways the products are better than the competition's, like battery life. "We have a right to compete in this market," Mr. Briggs said, "and I think we've got to prove why we're going to build and bring devices to people that are worth talking about again." Competitors like Sony, LG and HTC will be watching closely to see how the Motorola-Google relationship develops, especially whether Motorola receives special treatment from Google. Like Motorola, they use the Android mobile operating system, for which Google receives no payment. "They certainly don't believe Google's going to keep a Chinese wall in place," Mr. Kindel, the former Microsoft manager, said of the other cellphone makers. "The reality is people work together, they can pick up the phones and talk. There is going to be an advantage." There is, for instance, a program for Google software engineers to work at Motorola for a year or two. But Mr. Woodside said Google benefited from many manufacturers' using Android, and repeated Google's promise that Motorola would have no advantages. He said Motorola would also compete equally with others to build Google-branded Nexus devices, which Google makes with a hardware partner when it introduces new versions of Android. A Motorola Mobility executive who recently left the company and would speak only on the condition of anonymity because he was uncomfortable talking to the news media, said that if anything, it had become more difficult than before for Motorola to have impromptu collaboration with the Android team. But still, because of the relationship, Motorola could get priority on Google products, like a mobile version of desktop software. And, people familiar with the companies say, Google could decide to follow Apple's lead and build a phone from silicon to software, perhaps by creating a separate operating system for Motorola that other phone makers cannot use. Google and Motorola seem to have a mutually beneficial marriage of hardware and software, Mr. Golvin said. Motorola needs software smarts and Google, which has struggled with Chrome laptops, Google TV and most recently the Nexus Q, needs help with hardware. Motorola's set-top boxes, which it sells to cable operators, could also help Google make the leap to TV screens, if it does not sell that business. In the meantime, Motorola's cellphone expertise has already been useful. Sergey Brin, Google's co-founder, called to see whether the sky divers he had hired to perform at a recent conference could get cell reception a mile in the sky. Brian X. Chen contributed reporting from New York. Samsung takes another shot at denting the iPad's dominance of the compute tablet market Thursday with the launch of its Galaxy Note 10.1. 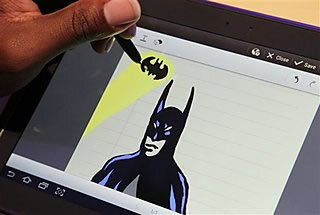 It is the first Android tablet from Samsung Electronics Co. equipped with a digital pen and it can run two applications side-by-side on a screen divided in half. The split screen can be useful when taking notes while watching a video or surfing the Internet. While the tablet has a faster processor than the iPad at the same price tag, its screen resolution is lower. The price starts at $499 for the basic model with 16 gigabytes of storage and $549 for the 32-gigabyte model, expandable with an external memory card. Analysts believe Note, because of its pen and dual-application ability, will be attractive to business and education customers, a strategy that could be more effective than going all out against the iPad, which already dominates nearly 70 percent of the worldwide tablet market. The order has come down from Paris. The International Earth Rotation and Reference Systems Service has spoken and its word is final: No more leap seconds this year. That may be good news for geeks. Because leap seconds can cause software glitches. In fact, a leap-second bug in the Linux kernel caused a lot of problems back in June; that was the last time that the IERS added an extra tick. The bug caused technical glitches at Reddit, Gawker Media and Mozilla after a Linux subsystem called "hrtimer" got completely confused by the extra second. 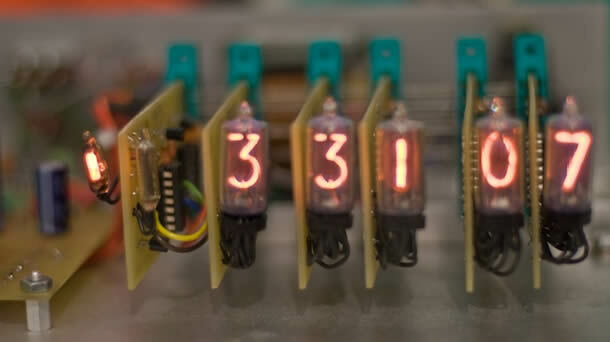 The leap second set off Solaris systems back in 2009, and we've even seen an unconfirmed report of leap-second bugs causing problems in pager systems dating all the way back in 1997. "Almost every time we have a leap second, we find something," Linux's creator, Linus Torvalds, told Wired back in June. "It's really annoying, because it's a classic case of code that is basically never run, and thus not tested by users under their normal conditions." Leap seconds come up as timekeepers try to keep the super-accurate Coordinated Universal Time (UTC) kept by atomic clocks — and used by computers — in line with time, as measured by the Earth's rotation. Because things like earthquakes or flowing magma can slightly change the speed of the earth's rotation, scientists at the IERS keep track of things and then — twice yearly — decide whether or not to add a leap second. This time around, they decided it wasn't necessary. That gives software developers at least another six months for a little more bug testing. Our colleague, Alex UA9YAB (50) who you may have worked very recently as YV7 and YV5/UA9YAB died during expedition. Cause of death is possibly a bite by poisonous jellyfish. He had no evacuation insurance and his family (wife Natalia and two young children) kindly ask for your help with body transportation costs. Donations can be made through PayPal to the following link . Thank you very much for your help in this time of need. ADDISON, TX, Aug 14, 2012 (MARKETWIRE via COMTEX) — Long Range Systems (LRS), the leading provider of on-site paging systems and guest surveying solutions, announced the appointment of Skip Cass as president and CEO. Cass brings more than 25 years of relevant industry experience to his new role having recently run the Internet, business development and technology departments at A. H. Belo Corp., and previously served as Executive Vice President/Media Operations, managing Belo Corp.'s various television stations, newspaper and cable news operations. Cass is succeeding former president and CEO Ken Lovegreen, the original founder of LRS, who is now transitioning to a full-time role as Chief Technology Officer with oversight of the Company's product development, and will maintain responsibility for all international operations, distribution and franchising efforts. Lovegreen will also remain Chairman of the Board of Long Range Systems, LLC. "We welcome Skip's experience and leadership as LRS continues to expand in new markets and create new products," said Lovegreen. "Skip's strategic, results-oriented approach will play a vital role in extending our track record of bringing consumer and technology focused communication solutions to the marketplace." Cass brings a strong background in managing large-scale operations and developing new business models and innovative marketing solutions for both B2B and B2C organizations. While at A. H. Belo, Cass was instrumental in investing in and developing several early-stage and start-up operations that offered transaction-based business models aimed at major vertical consumer markets. He has also previously served on boards of Classified Ventures, owner of Cars.com and Apartments.com and of Newspaper Consortium's partnership with Yahoo!, aimed at providing behaviorally-targeted marketing solutions for small- and medium-sized businesses. 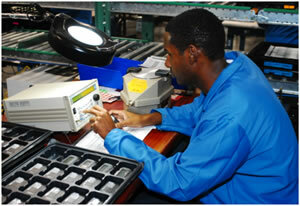 "LRS' brand is already recognized as a leading provider of paging systems and surveying tools," said Cass. "Equally as impressive, however, are the many elegant, easy-to-implement solutions that help our clients engage and more effectively interact with their customers. We see opportunities to expand on that engagement to drive customer loyalty, retention and acquisition ultimately increasing our customers' revenue and service levels." Prior to serving in several key management roles at Belo Corp. and A.H. Belo, Cass launched Texas Cable News in 1999, a statewide cable news channel based in Dallas, Texas, and was also president and general manager of KTVK-TV in Phoenix, Arizona, which was the first independent television station ever to win all four Nielsen sweeps periods in a metered market in 2003. Also a licensed attorney, Cass practiced commercial litigation and communications law early in his career. Cass graduated from Loyola University School of Law in 1991 and earned a bachelor's degree in Broadcast Journalism from Louisiana State University in 1987. He is a 2004 graduate of the Stanford Executive Program and has served as president of the Stanford Business School Alumni Association Board of Directors. 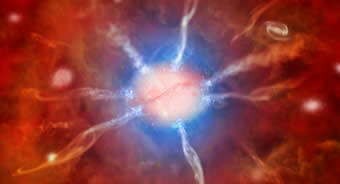 For more information about LRS or the company's products and services, please go to www.pager.net . About Long Range Systems, LLC Long Range Systems, LLC is the leading global provider of on-site paging, guest management and surveying tools. LRS solutions are used in a variety of settings including restaurants, hotels, hospitals, day cares, amusement parks, churches, retirement and nursing homes, doctor/dentists offices and more. LRS owns 19 patents and markets over 30 products designed to streamline operations, improve customer satisfaction levels and increase sales. For more information, contact Jason Barge at 800-437-4996 (x4126) or visit www.pager.net. For David Nagel of Quincy, it was Father's Day in August. The 81-year-old Nagel received an unexpected gift Wednesday night from his son, John, who lives in Texas. 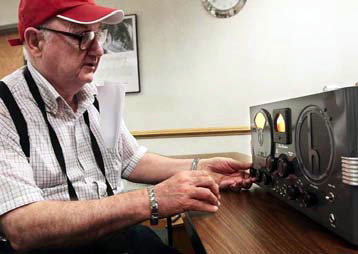 David Nagel had just finished hearing — and taking part in — a discussion about a Hallicrafters S-20R receiver at a meeting of the Western Illinois Amateur Radio Club, a model that had first piqued his interest more than 60 years ago. At the end of the meeting, Nagel was presented with the genuine article — a Hallicrafters S-20R that his son had restored and shipped to Quincy to surprise his dad. And Dad had no idea it was coming. Through cooperation between the club members and some of David Nagel's friends, they made sure he would attend the monthly meeting at the American Red Cross headquarters on North 23rd. To say David Nagel was surprised would be the ultimate understatement. "I had no clue," he said. "(John) is a great a guy and always been a great guy. We sometimes talk twice a day, and we also talk on the radio." David Nagel said he never thought he would ever own one of the Hallicrafters S-20R receivers again after letting his original model go in the mid-1960s. He stared at his present, then looked up and said: "(John) spent some money on that, I betcha. I know they're not cheap. This is something else. It's really something else." In a phone interview with The Herald-Whig earlier this week, John Nagel explained his dad's history with the Hallicrafters S-20R receiver. "In 1948, my father studied for the FCC Class B radio test," he said. "In July of that year, he and a friend drove to Chicago to take the exams. Prior to getting his FCC license, (my grandfather) August Nagel, who was a longtime landscaper in Quincy, bought (my dad) a Hallicrafters S20-R radio receiver. It was a used receiver and manufactured some time in the late 1930s or early 1940s. "In the late 1950s and very early '60s, most amateur radio communications switched to a modulation technique call Single Side Band. At that time my father decided to buy a newer receiver that had SSB capabilities. He reluctantly traded in the Hallicrafters S-20R receiver that he had used for so many years for a more modern receiver." Over the past five years or so, John Nagel said, he had heard his father talk about his old radio, the Hallicrafters S-20R receiver and how he wished that he had not traded it in those many years ago. "I had a great time with that receiver when I was young," David Nagel said. "It kept me off the streets at night." Last year was when John Nagel got serious about trying and find his dad a replacement. "After beginning to buy and build my own radio setup, last May I found an S20-R receiver listed on eBay," he said. "I decided to buy the radio and make it a gift to my father. I purchased the radio, had it shipped to a guy in Michigan who restores them. The restoration included the cabinet as well as the inside electronics." The radio was restored to "new" condition. "I have been told that the receiver works better now than when it was new," John Nagel said. David Nagel just smiled in agreement. FYI: A few notes: For expediency the issues known as the "Unipage/PC-MOS Aug. 1, 2012 CYBER ATTACK FROM UNKNOWN REALMS"
1. The customer contacted me with a problem with the Unipage Console. He was unable to access customer records, modify, or display. All attempts resulted in Proc errors. 2. I was unaware of the problem at the time of getting the initial call. So I treated the problem like a standard troubleshooting task. 3. I received an e-mail with the process to resolve it. Which was attempted and did not work for our situation. 4. We attempted many troubleshooting/resolution steps with little to no progress. Encountered some other issues that were not related to the problem which forced us to take a few "right turn cycles". 5. Keeping in mind that [we] attempted/did many things, the steps below seem to be a good way to resolve [the issue], but I cannot say with 100% [certainty] that some of the things we attempted did not affect the final resolution. 1. Get a DOS 6.22 disk. 3. Change the DOS Date to 08/? ?/2002 (?? = current day). 4. Move to the Unipage directory. 5. Make a Directory called backup ( md backup ). 6. Copy all the files in the "data" directory to the "backup" directory. Command: copy data\*. * backup. 7. Verify the files were copied properly and completely. 8. Move to the data directory and delete all files in that directory. 9. Run "makecity.bat" and create a blank new database. 10. Reboot the console into the Unipage program . . . run an index on the new blank database. 11. Reboot on the DOS 6.22 disk. and copy the original Subdat.dbf, and the .prm files from the temp directory back into the data directory overwriting the blank database, and run index.exe (c:\> Unipage directory.) and re-index all databases. 12. Reboot into the console program . . . and test a record. 13. All should be well. ** when copying the .PRM files back we did find that the sys.prm files were corrupted. So I would suggest copying them in small batches, rebooting and making sure each file is good. Hope that helps . . . though I imagine most have resolved it in some way or another. I wanted to thank you for helping our tech last night. If it wasn't for my subscription to your newsletter, we would have been up the proverbial creek!! I have passed your information along to Hugh Jones. He is the owner of Answer Fort Smith. He may be dropping a line of thanks as well. You are welcome. All I did was pass your request along to an expert. Actually that's what I do a lot through the newsletter — human networking. Please recommend the newsletter to anyone you know who might be interested in Wireless Messaging. Just a quick note to say thanks for the heads up on the Y2K – 2012 issue with Unipage PCMOS. Fortunately for us, many years ago (1998 I think) we tossed out the PCMOS and MSDOS console computers and moved all of our Unipage Console 4 software to Windows 2000 and XP computers. Thus, we never experienced the issue you brought up. I did check with one of our Medical Unipage terminal users that we placed on Windows 2000 and they also did NOT experience any issues. This would seem to confirm the issue is most likely with PCMOS or MSDOS 4.0 or 5.0 that was used by Unipage back when. I would point out that we also utilized Unipage console and Message Manager programs on MSDOS 6.22 operating systems with no problems. Speaking of the Unipage system we also utilized a Bios update EISA card on our Message Managers that alleviated the Y2K concerns of the 486 boards back then. I am sharing this information so that it might help anyone currently utilizing the Unipage system and may not be aware that more current operating systems are capable of running the Console 3 and 4 software. I had investigated the potential to provide CMAS alerts to our Paging customer base earlier this year. After learning what the process required in connecting to the FEMA portal through a third party vendor, I determined it was considerably more costly than I ever expected. Thus, I wonder if any paging carrier is going to participate in the CMAS alerting system or if I missed a way to do it economically. I would be interested in economical ways of providing CMAS ALERTS. Keep up the good newsletter. Subject: Still looking to sell those TMRs! I am still looking to sell those TMR paging data receivers. Here is the information. IF you know anyone, I will make sure that you are compensated. 4 Daviscomms TMR1F with internal antenna. Of the 61 TMRs with the BNC Connectors, 43 of them are still in the original packaging, the rest were lightly used. All of them have had my labels removed and just need to be reprogrammed and put back into service. Again, I would prefer to sell everything to one buyer. Let me know if you have a buyer/offer. "Networking is simply the cultivating of mutually beneficial, give and take, win-win relationships. It works best, however, when emphasizing the 'give' part." "Networking with integrity creates a greater willingness of all parties to be part of a human conduit to serve as energy and resource to one another. Sometimes you will give more than you receive and sometimes you will get back more than you give. It's not about keeping score." "If you're not networking, you're not working. " "Beginning today, treat everyone you meet as if he or she were going to be dead by midnight. Extend to them all the care, kindness, and understanding you can muster, and do so with no thought of any reward. Your life will never be the same again." By the way, this newsletter is our modern vehicle for networking in the Paging and Wireless Messaging industries.